Captured this inside view looking out the window at the Eagle Street Grill across from the Xcel Energy Center in St Paul. 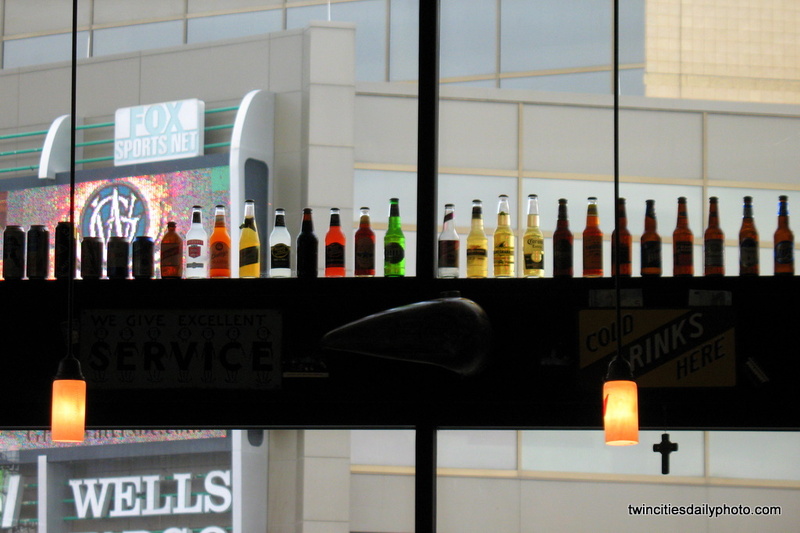 The colorful lineup of beer bottles was too much to pass by and not take a photo. ...and how many of these beers have you tasted? How Was Your Morning Commute?